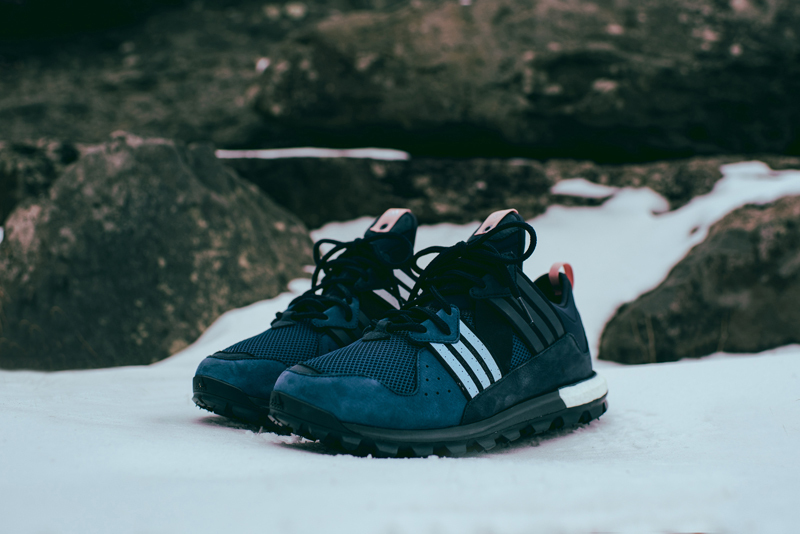 Throughout 2016, adidas has worked closely with Ronnie Fieg to put together the Aspen Pack. The first model in the KITH Aspen pack is completely new – it is the first ever UltraBOOST Mid. Fieg's execution extends the original lower silhouette with a snug, sock-like enclosure at the ankle. The upper is cageless with a subtle taped panelling, a nod to the original adidas 3-Stripes branding. 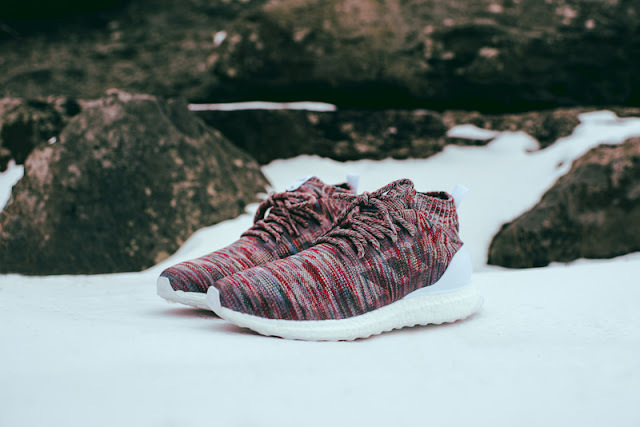 Rather than the conventional Primeknit, Fieg's new UltraBOOST Mid is constructed using a thicker space dyed yarn suitable for the winter months. It arrives in a festive multicolor pattern with laces to seamlessly match the upper. The second model is a more conventional outdoor model. The Response Trail BOOST is fundamentally a trail shoe with a reputation for being tough and functional. Here it gets a lifestyle makeover. Still high on tech it comes equipped with a neoprene collar and a speed lacing system. The sole is a hybrid of exposed BOOST™ and hard-wearing, grippier rubber. Outdoor footwear is currently enjoying a big moment in the cities among sneaker enthusiasts looking for a shoe robust enough withstand the cold, while still providing them with the level of comfort they are accustomed to. 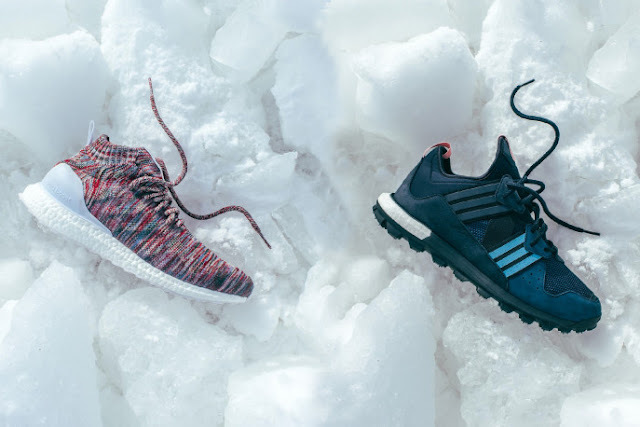 The adidas Consortium x KITH ASPEN Pack will drop on Saturday, 31 December 2016.